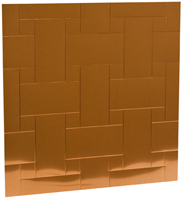 Choose from three types of copper basket weave patterns. Ranging from a basic design to an intricate appearing classic basket weave, these pieces are all modular and based on a 12" x 12" repeating pattern. 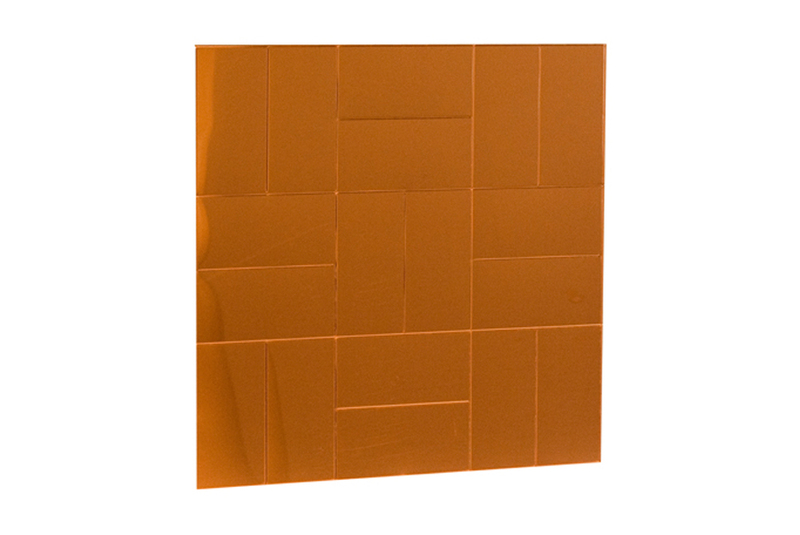 This material is commonly used for architectural applications such as kitchen backsplashes and wall coverings. When using full sheets and using our trim molding to connect the sheets, our modular design will allow the patterns on connecting sheets to line up perfectly. 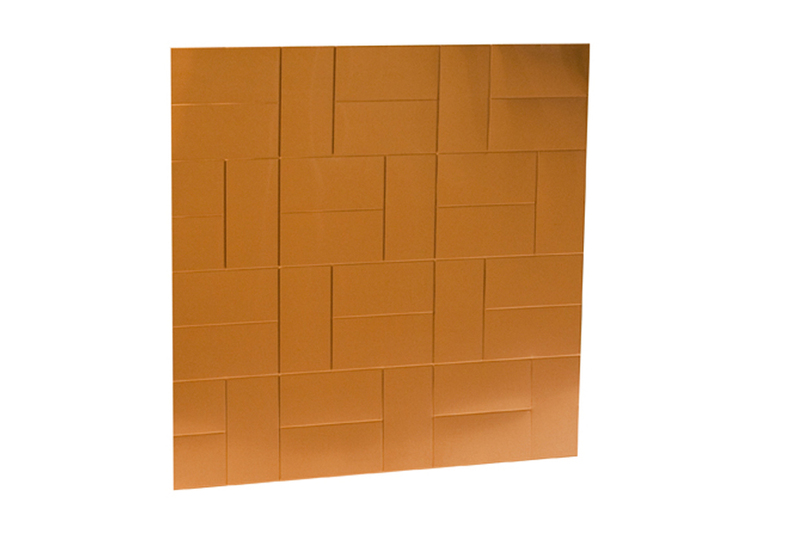 CPBW1 - This copper basket weave based on a brick patio design uses 3" x 6" rectangles that repeat nicely on a 12" square. 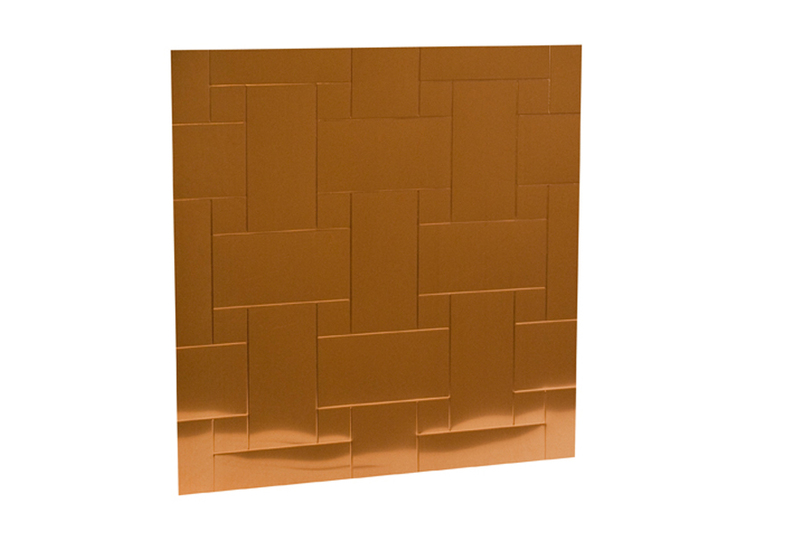 CPBW2 - A variation of the brick patio basket weave, the offset pattern creates a more intricate look while still using the 3" x 6" rectangles. CPBW3 - This classic basket weave pattern has a deceptively simple pattern that creates the full appearance of an intricate basket weave. 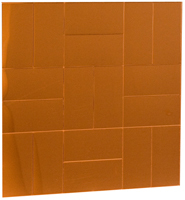 Using 4" x 8" rectangles, this pattern can still be repeated on a 12" square. 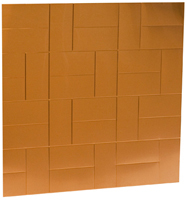 Note: Basket Weave textured finish comes with a removable protective film.